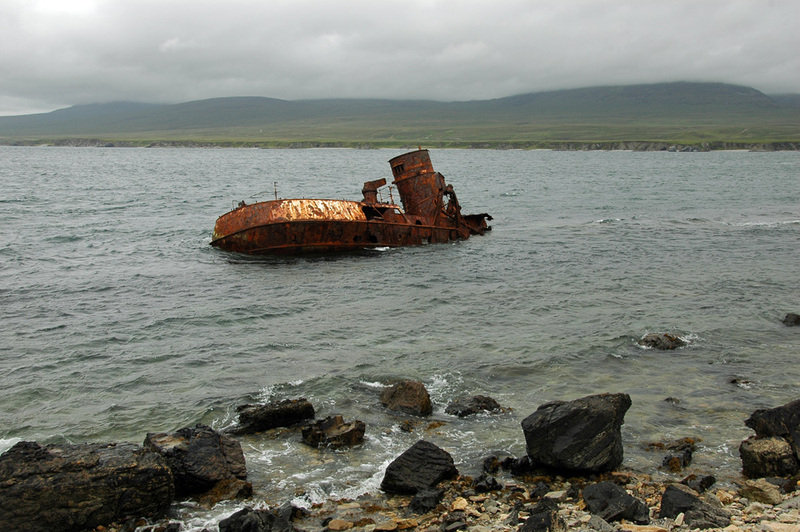 The years have taken its toll at the wreck of the Wyre Majestic at Bunnahabhain in the Sound of Islay. Compare to how it looked 10 years earlier to see the change. This entry was posted in Cloudy Weather, Landscape, Repost and tagged Bunnahabhain, Islay, Sound of Islay, Wyre Majestic by Armin Grewe. Bookmark the permalink.